Imagine that you are the owner of the Eugene O’Neill Theatre in Manhattan, New York, and you have a marquee banner that lets passersby know what performances are currently taking place on your stage, as well as posters advertising coming attractions. Google has captured images of your theatre for Google Maps StreetViews, and have included a number of images that you may have uploaded via Google’s Local Business Center, or that others have taken of the area around the theater. 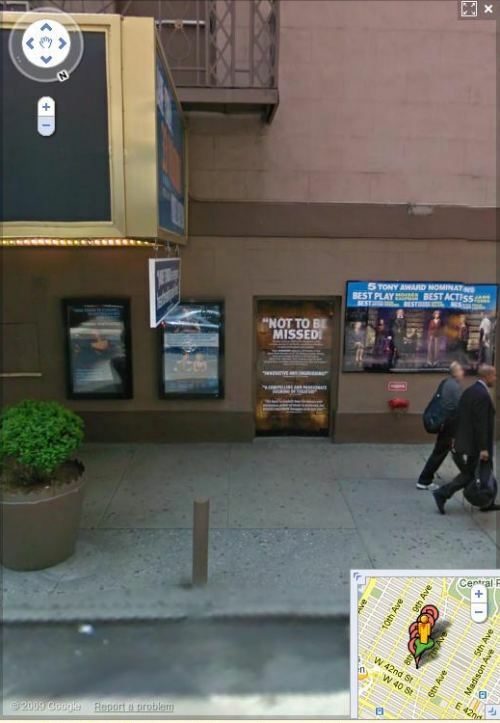 An image from Google’s Streetview of the theatre shows at least four billboard posters on the front wall of the building, which can be seen by viewers. When you view a set of search results, sometimes you’ll see some additional links for more pages on a site included within a single search result for a page. This often happens when a search engine considers the query that you used to be a “navigational” query, where the intent behind your search is to find a specific page on a site. The search engines don’t always follow the same patterns in delivering you to pages, but there are a number of similarities. For example, searching at Google for “wordpress” will show you the home page for “wordpress.org” at the top of the search results and also provides you with a list of links to pages on the site, including the page where you can download the software, and the support forums. Searching for “wordpress” at Yahoo delivers the home page for hosted wordpress blogs at “wordpress.com” at the top of the results, and offers additional links for different categories of blogs found at the site. Why does Google show you the software site, and Yahoo show you the wordpress hosted site? Good question. There are many questions about how the different search engines handle navigational queries, and how they determine which site links or quick links to show under them. 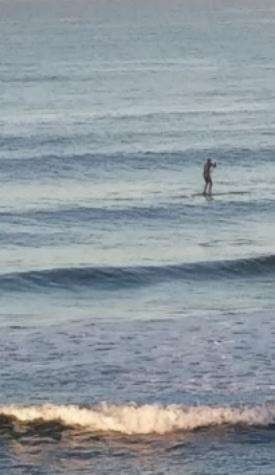 Author Bill SlawskiPosted on 01/05/2010 08/10/2018 Categories Search Engine Optimization (SEO)8 Comments on Have You Ever Seen Delicious Quick Links?